Arthur Penn: American Director is the comprehensive biography of one of the twentieth century's most influential filmmakers. Thematic chapters lucidly convey the story of Penn's life and career, as well as pertinent events in the history of American film, theater, and television. 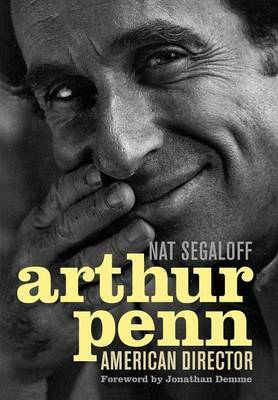 In the process of tracing the full spectrum of his career, Arthur Penn reveals the enormous scope of Penn's talent and his profound impact on the entertainment industry in an accessible, engaging account of the well-known director's life. Born in 1922 to a family of Philadelphia immigrants, the young Penn was bright but aimless - especially compared to his talented older brother Irving, who would later become a world-renowned photographer. Penn drifted into directing, but he soon mastered the craft in three mediums: television, Broadway, and motion pictures. By the time he made Bonnie and Clyde (1967), Penn was already a Tony-winning Broadway director and one of the prodigies of the golden age of television. His innovative handling of the story of two Depression-era outlaws not only challenged Hollywood's strict censorship code, it shook the foundation of studio system itself and ushered in the film revolution. His next films - Alice's Restaurant (1969), Little Big Man (1970), and Night Moves (1975) - became instant classics, summoning emotions from shock to sensuality and from confusion to horror, all of which reflected the complexity of the man behind the camera. The personal and creative odyssey captured in these pages includes memorable adventures in World War II; the chaotic days of live television; the emergence of Method acting in Hollywood; and experiences with Marlon Brando, Anne Bancroft, Warren Beatty, William Gibson, Lillian Hellman, and a host of other show business legends.